Last summer, I packed up the contents of my tiny South London flat (considering the size, it took surprisingly long) and waved goodbye to the Big Smoke. I'd been living in the capital for five whole years, and it was time for a change. Plus, my husband-to-be had taken a job in The North and I kind of wanted us to live together again. Moving out of London in my white van. OK, it's not really my white van. I didn't think I'd miss it, because the reality of living in the metrop can be a bit tedious. Eg, even though your mates live in the same city, it always, without fail, takes an hour to get to them. And your morning commute is mostly spent with your face pressed against a businessman's armpit. Now, I can see actual hills and trees from my window, and we have this crazy outdoor space which the northerners call a garden. I'm excited to try that out in the summer. However, when my bestie Emily and I met up in London last weekend, I gorged myself on all the London things I do miss. Example 1: COS. Have you been? Go. It's full of utter wonders, and I came away with a jumper, a top, and a dent in my debit card. Example 2: nonchalant service. We went to Grillshack, where a very friendly chap informed me, as I ordered two coffees, that I could pour it myself. "And... tap water?" I asked tentatively. A nod in the direction of a water cooler told me all I needed to know. London gets away with this, and I was quite happy to fill our mugs up with a tasty little latte. I'm just glad we weren't hungry at that point, I'm not great at cooking burgers. 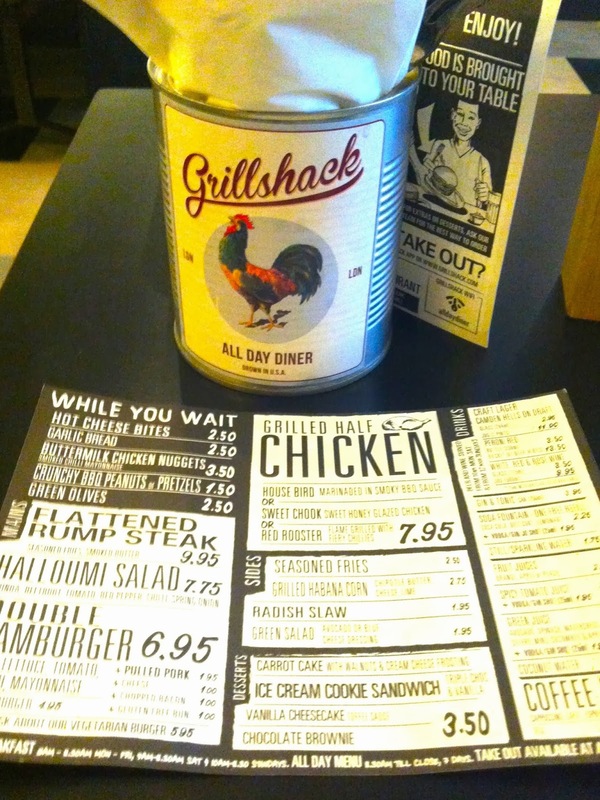 Grillshack: Good coffee, so London. Example 3: Drinking is always ok. At lunch, Emily and I ordered so much dim sum that, when it arrived, it formed a precarious, steaming tower on our table. Obviously we had to order a lot of prosecco to help it all go down. 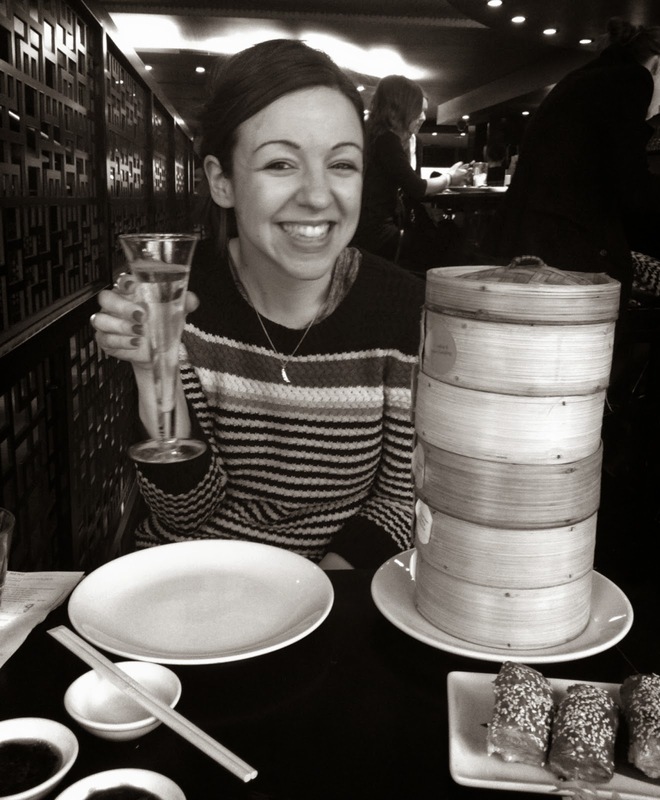 Emily enjoying a casual amount of dim sum for lunch. Then we went to Pepito, a sherry bar in King's Cross. I LOVE a sherry. Ours came in such big glasses that, by the end of the night, we were laughing uncontrollably about pork chops. The jaunt reminded me why I fell for London in the first place. But it also reminded me why I'm happy to have moved on. Fresh air. Happy lungs. Happy heart. Gar - den. Fret not Northerner! You can COS online and I think it's better to love London from afar. Romanticised London, way better than the reality! Exactly! Though I'm best avoiding COS online... I just bought another jumper Kim. I DON'T NEED ANOTHER JUMPER.